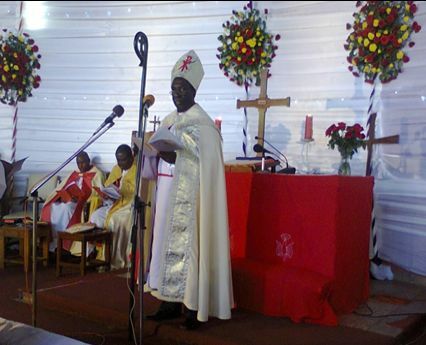 Pastor Amon Manase Kinyunyu, was consecrated Bishop of Dodoma Diocese of the Evangelical Lutheran Church in Tanzania (ELCT) on November 18, 2012 taking over from Bishop Festo Ngowo and during the same service Rev. 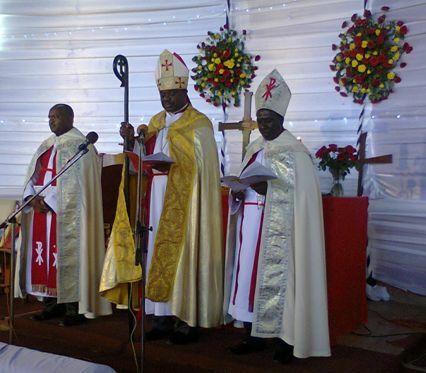 Samweli Mshana was officially inducted to become Assistant to the Bishop. The Regional Commissioner of Dodoma, Mrs Rehema Nchimbi, represented the Government during the well attended ceremony held at the Lutheran Cathedral in Dodoma. Those in attendance included ELCT Bishops; Bishop Marcus Lohrmann from the United States; Secretary General Mr. Brighton Killewa and ELCT Deputy Secretary Generals. Bishop Kinyunyu after his consecration.